The World’s Leading Trade Fair of Bathroom Experience, Building, Energy, Air-conditioning Technology, Renewable Energies. 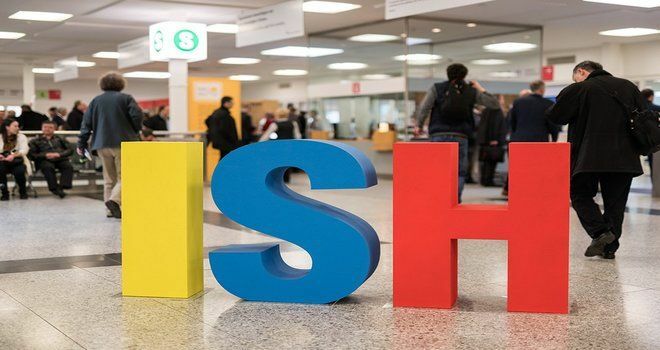 The ISH 2019 exhibition will be held 11 to 15 March, Frankfurt Am Main, Germany. Why exhibit at ISH 2019 Frankfurt? Integrated solutions are able to cover all these requirements and make a decisive contribution to energyefficient and resource-friendly building systems. Over 2,400 exhibitors, including all market leaders from home and abroad, launch their latest products, technologies and solutions onto the world market at ISH. Showcase your products at the biggest exhibitions in Europe within your industry. Looking to exhibit in Frankfurt? We are your full service, exhibition stand builder worldwide.